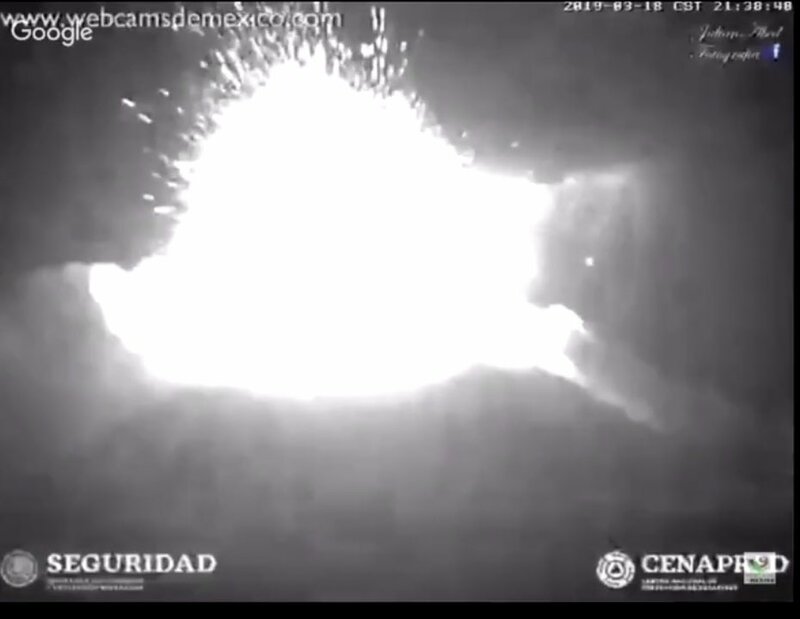 Mexico’s active Popocatepetl volcano has exploded late Monday evening, sending ash and debris high into the air and several kilometers away from the crater. The roar of the eruption was reported and felt over 40 km (25 miles) away. The 9:38 pm explosion of the active crater sent a 1.2km-high column of ash and fragments into the air, the country’s civil protection said, while releasing footage of the blast. Authorities have issued a yellow alert warning, asking residents to stay clear of the area within a 12 km radius of the crater, warning that ash from the volcano will be dispersed towards the northeast area of Puebla. Popocatepetl, which literally translates from Aztec as “smoking mountain,” has witnessed an increase in activity over the last few weeks. Preparing for the worst case scenario, authorities have drafted a special Operational Plan allowing for quick evacuation of locals in case of any emergencies. Popocatepetl’s 5,426-meter peak towers over the southeast part of Mexico City, which lies only 70 km (43 mi) away from the nation’s capital.